Thought this project was going to be done about a year ago, but I suppose that's just how it goes? Either way I'm really excited that the second barbershop book is finally on it's way. For anyone not familiar with the project, I initially spent 3 years (on and off) traveling to all 50 states with Mojo, documenting the old and quickly disappearing American barbershop. At the end of it all, that group of images was published into a book. Then about a year and half ago I started the project again. The whole time still documenting old school shops, but also photographing the "next generation" of shops that I feel are doing things the right way. So this second book is essentially an extension of the first. A lot of the images from the first book are also in this one, but completely re-edited, and with a proper trimming of the fat. The printing is also better than the first book, and I think the addition of all the new shops shows an incredible contrast of where the barber industry has grown to. I'm proud of the book and excited for people to see it. The barber industry has been very welcoming of me, so I hope that the book is something they feel does them right. 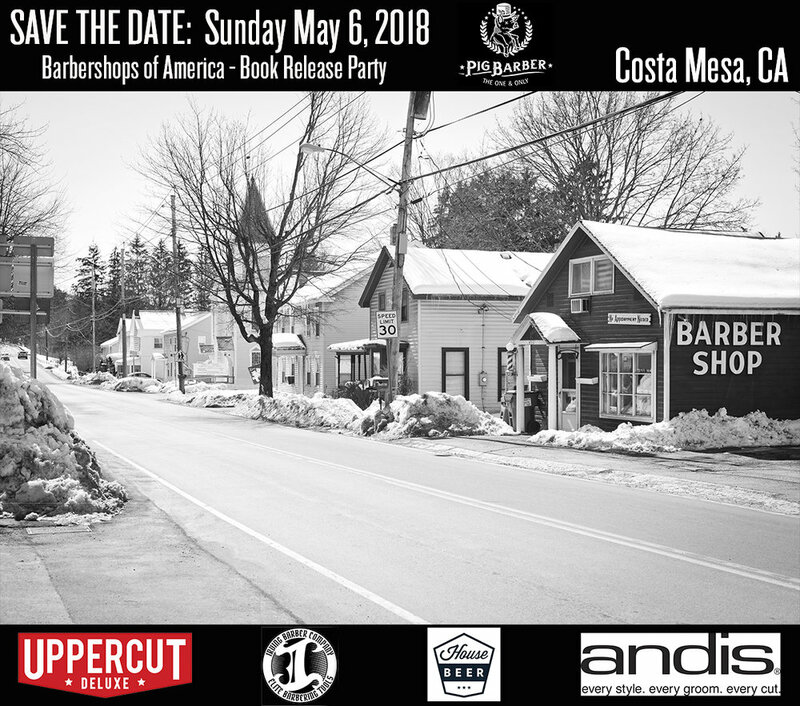 On Sunday May 6th, we'll be having a book release party at the notorious Eagle+Pig Barbershop in Costa Mesa, CA (Orange County). We've got some great people behind the project with sponsorships from Uppercut Deluxe, Andis Clippers, Irving Barber Company, and House Beer. It's sure to be a great time with tons of raffles, so come hang out, check out the book, drink some beer, and talk to some cool barbers.